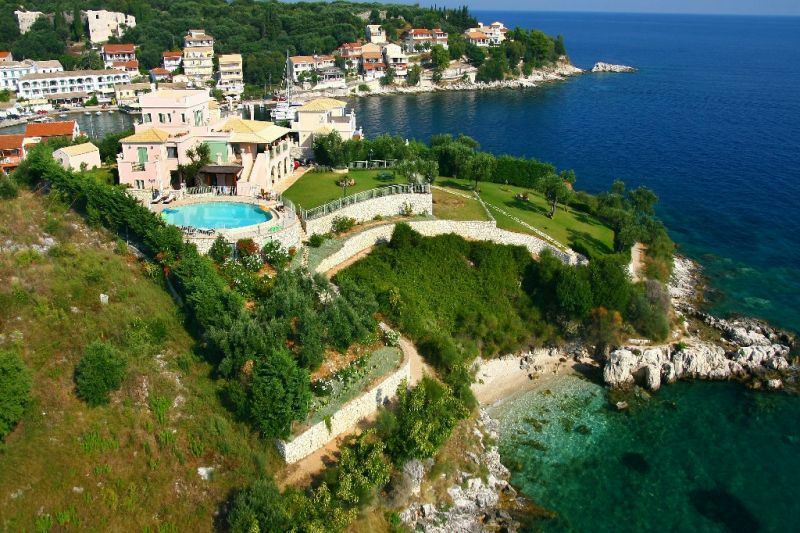 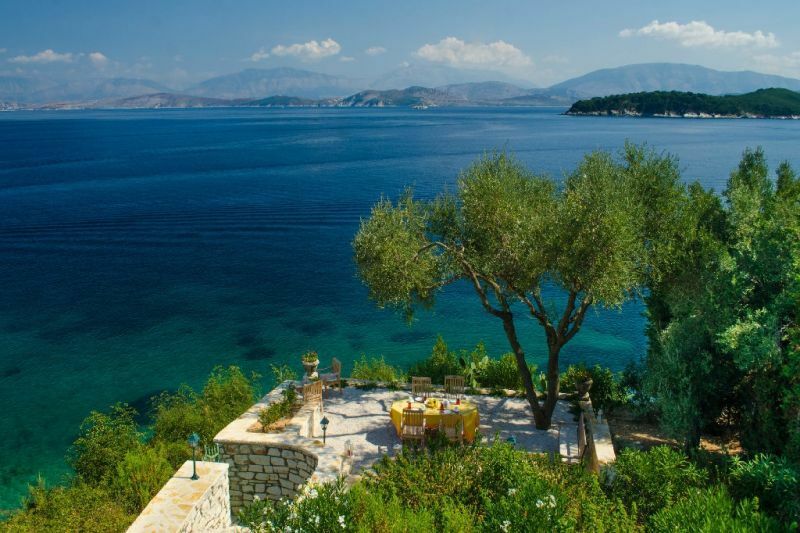 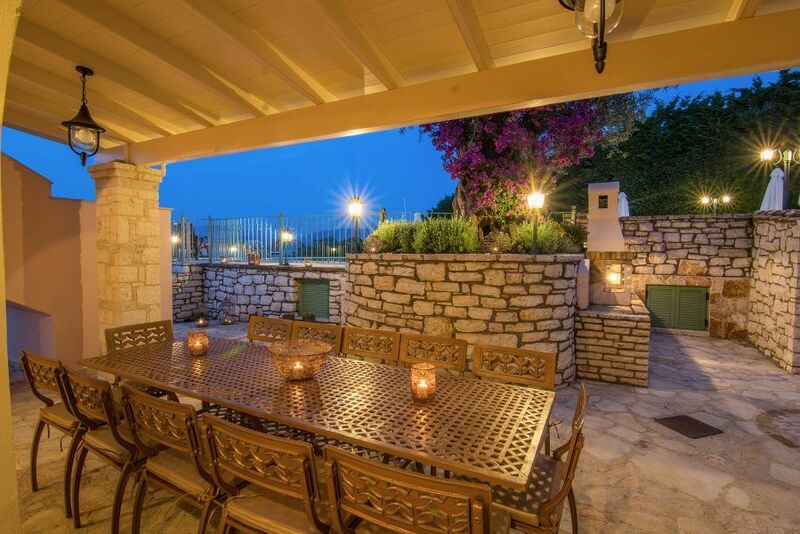 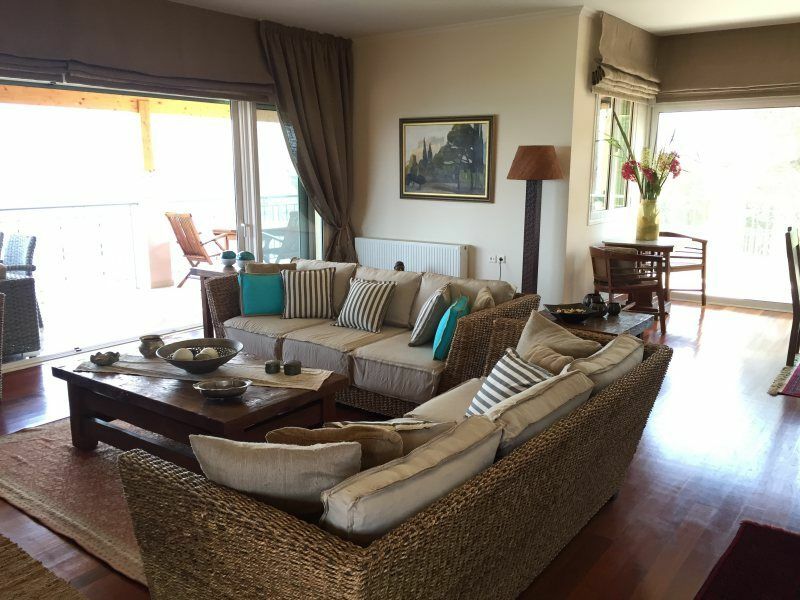 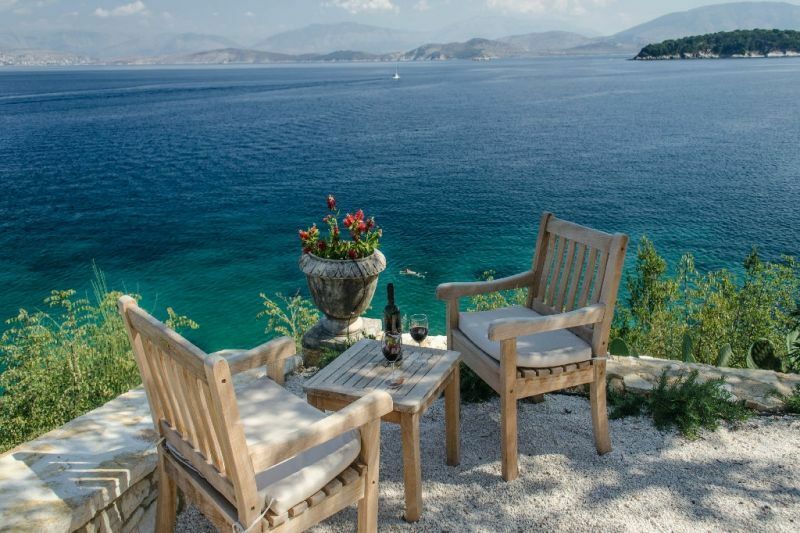 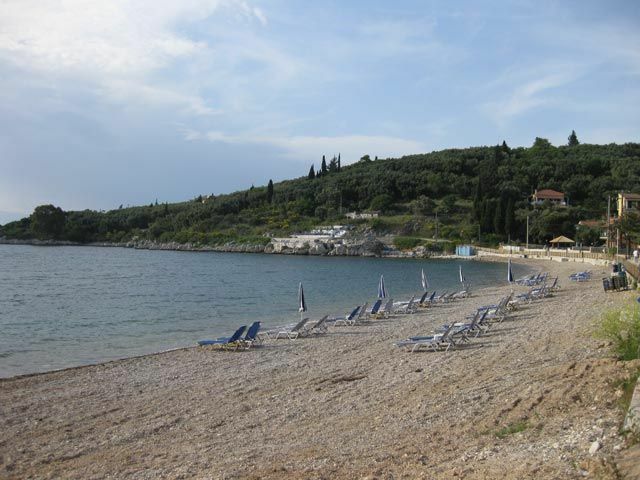 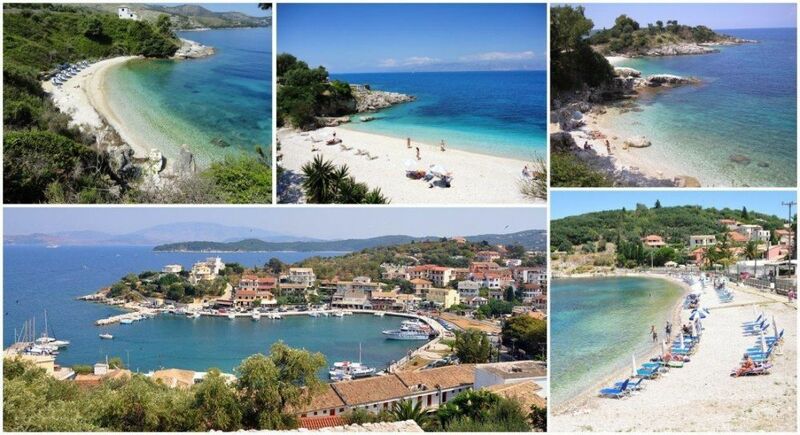 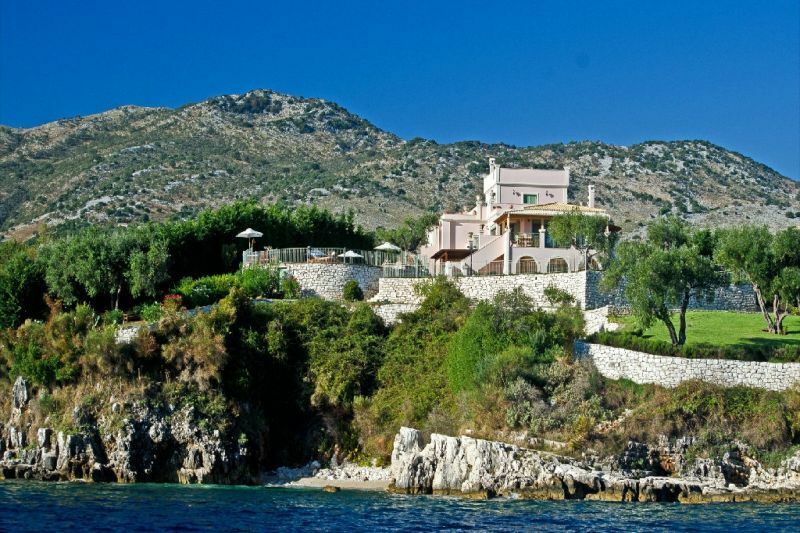 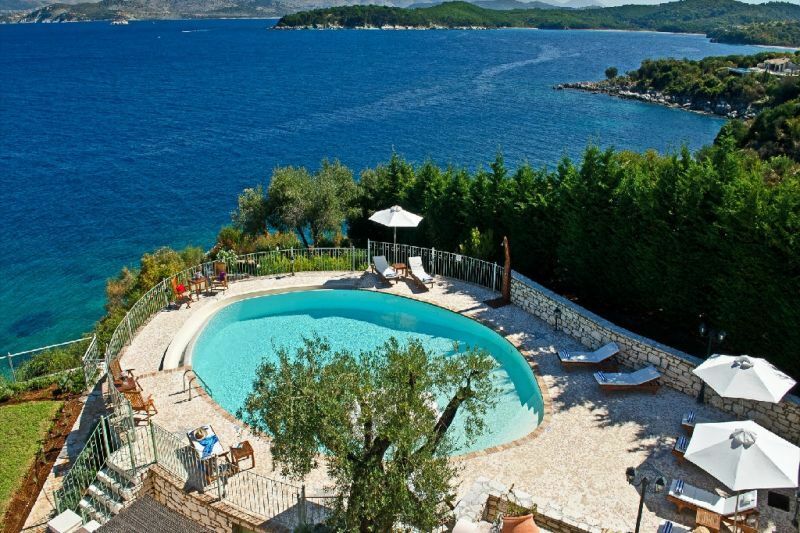 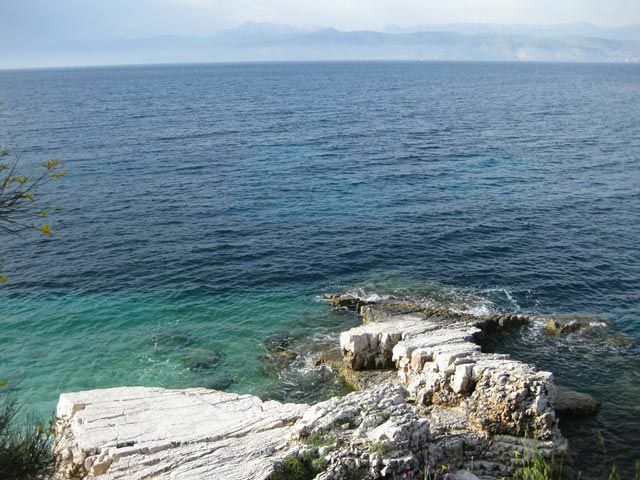 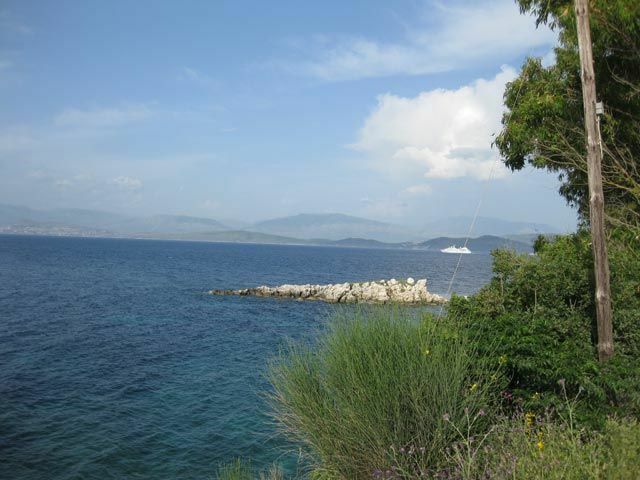 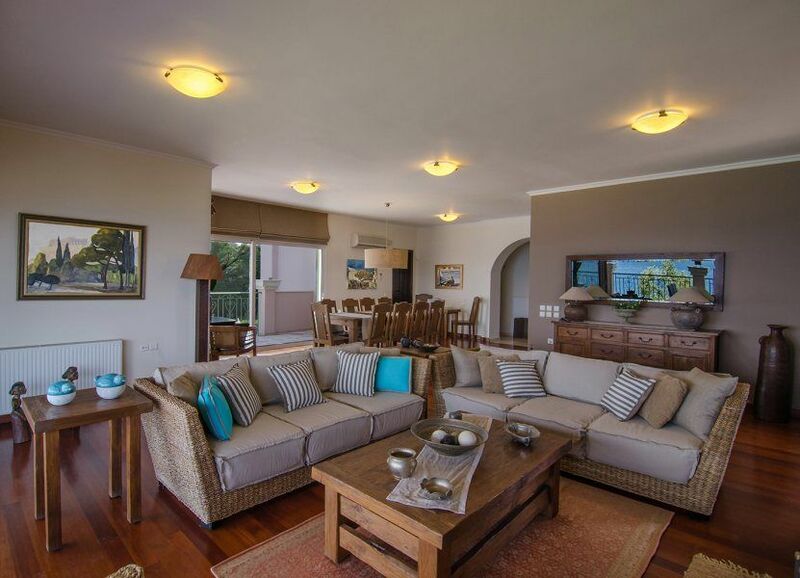 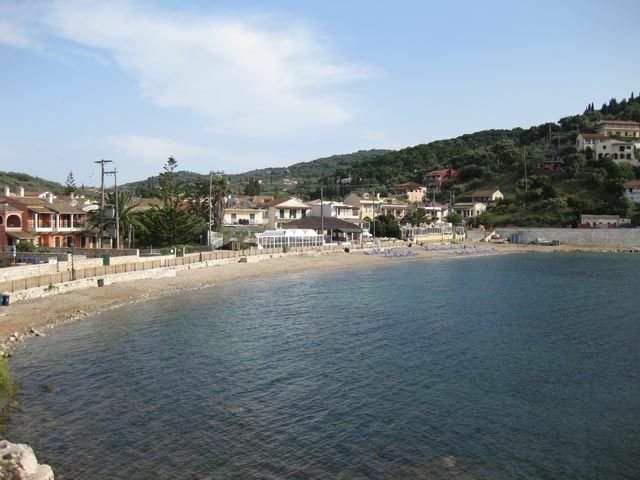 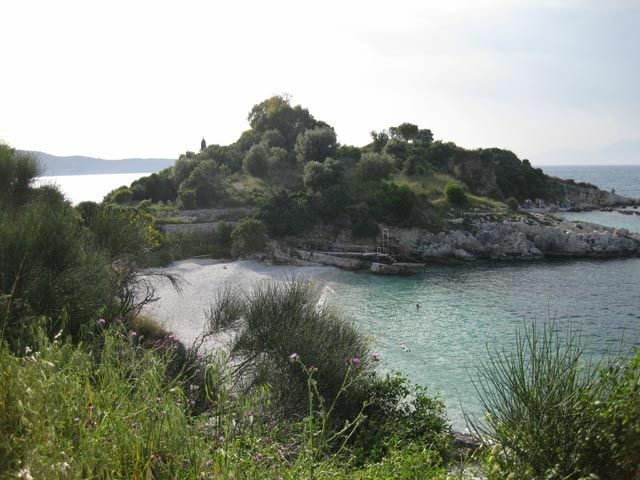 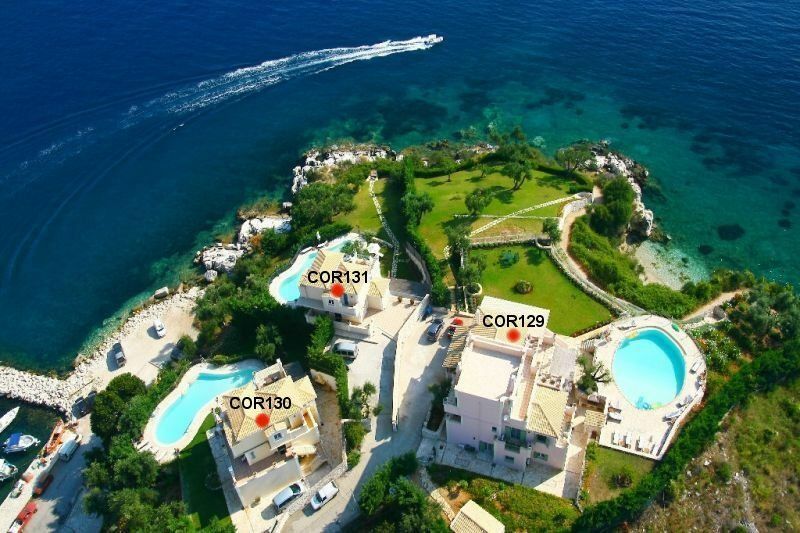 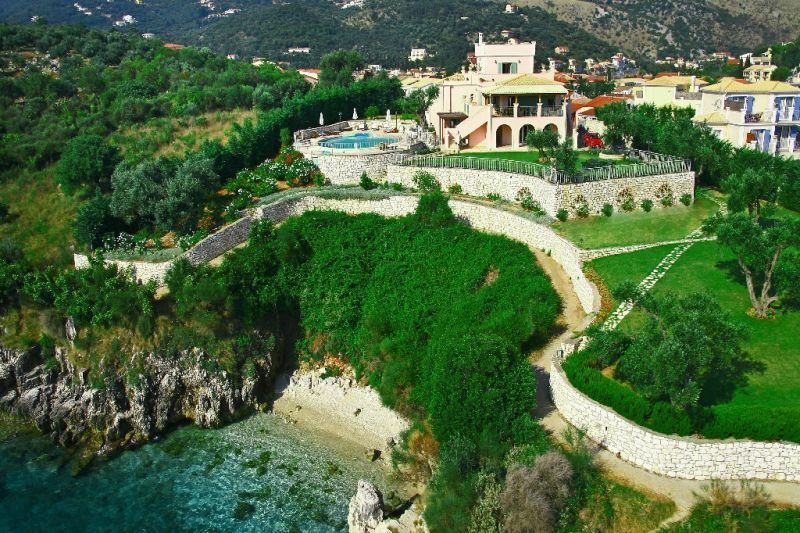 Great beach villa of 400 sq m in the garden of 3354 sq m offered for rent in Corfu. 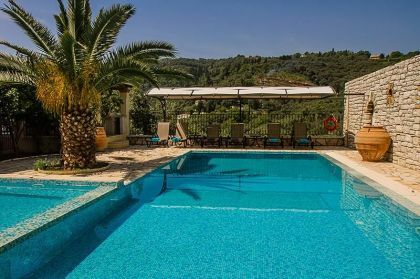 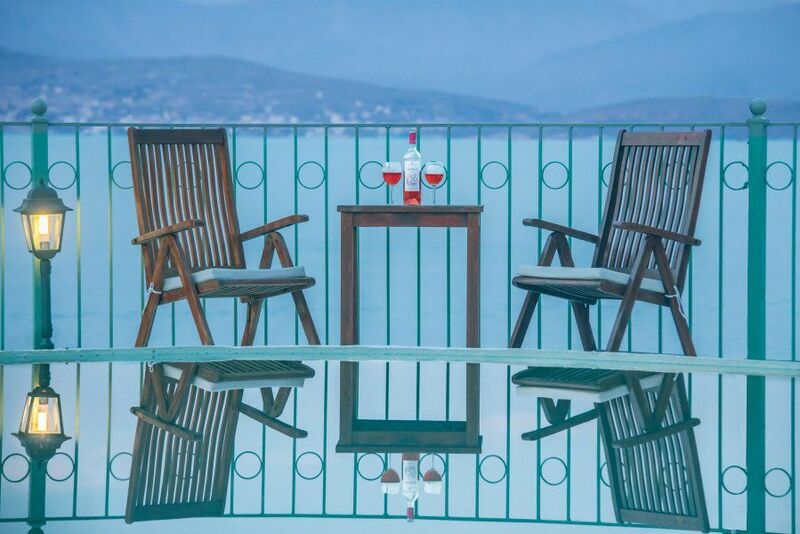 The villa has its the swimming pool 100 sq m. Villa is situated at short walking distance from the center of the touristic town and taverns. 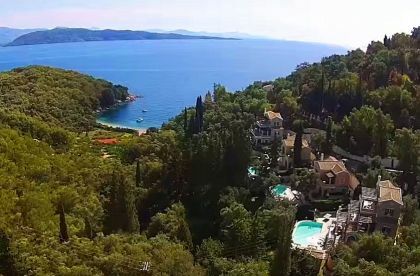 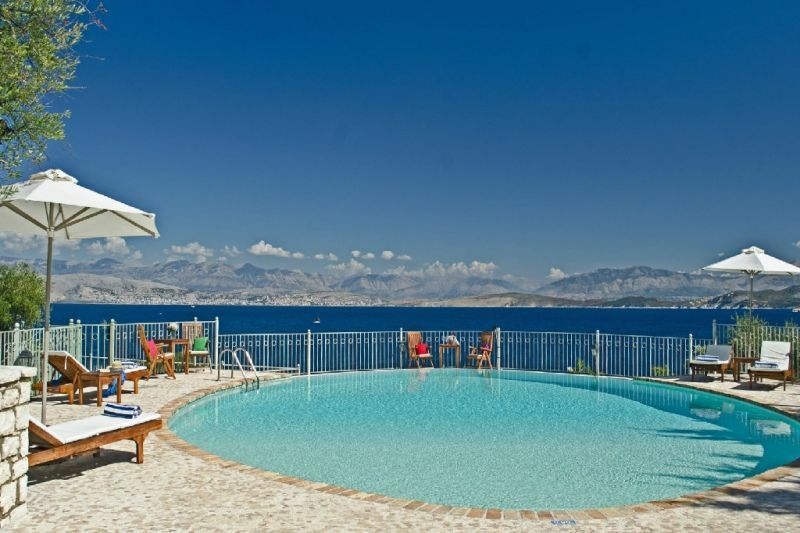 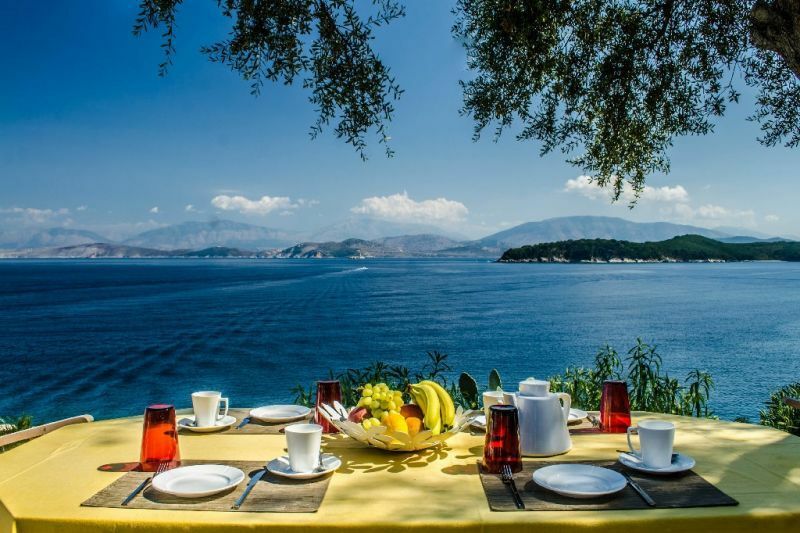 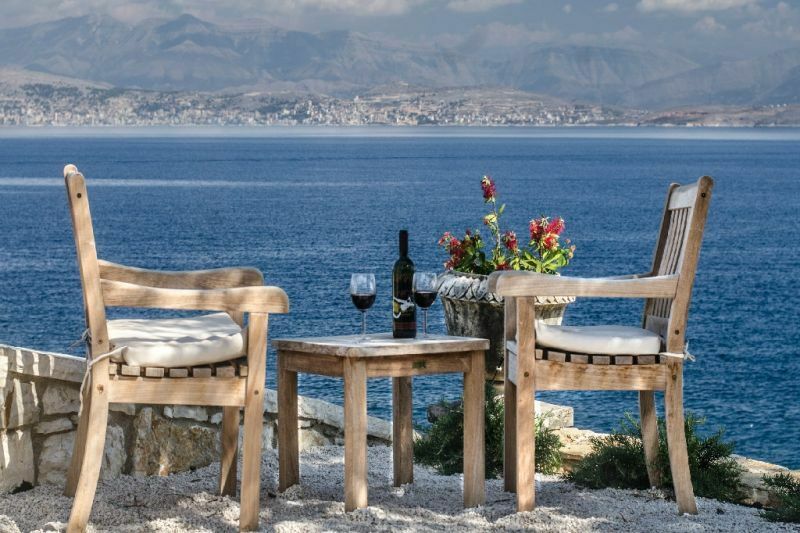 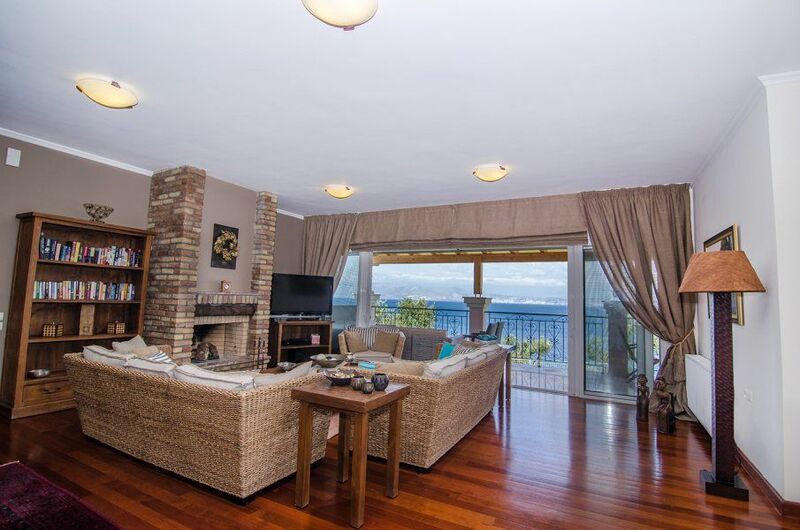 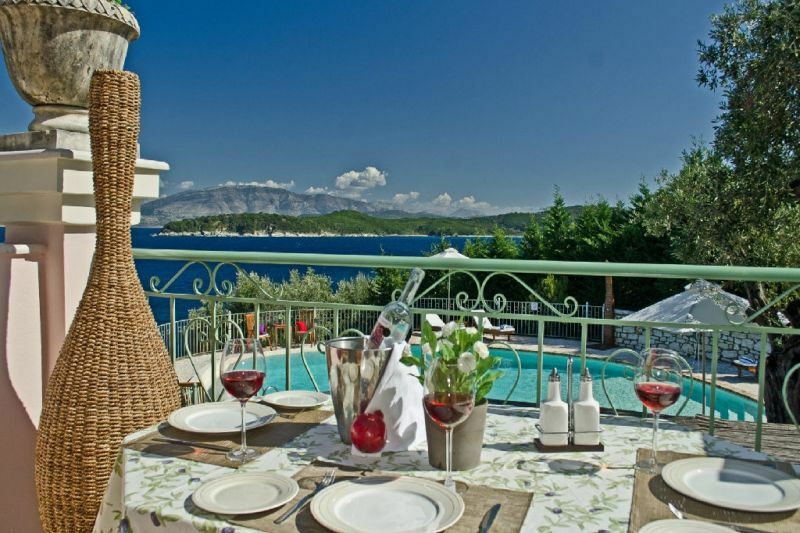 The house overlooks the harbor and the castle; it is built on a peninsula, so the guests can enjoy panoramic breathtaking sea view from everywhere. 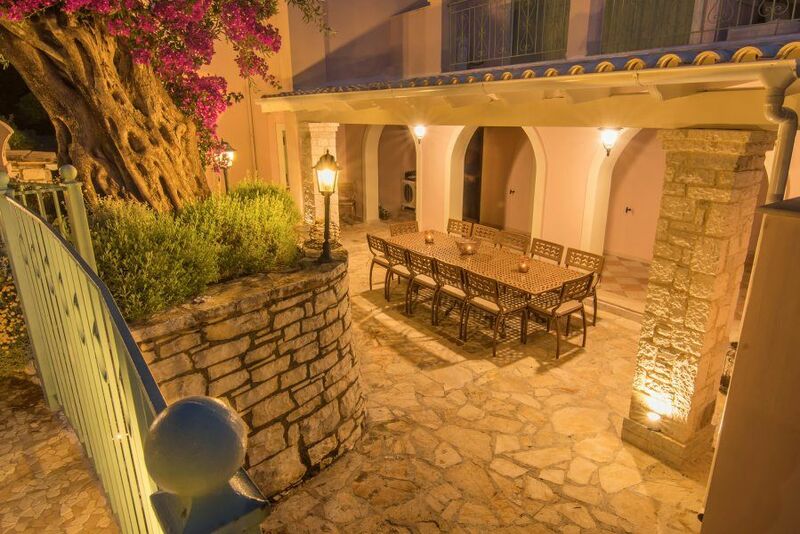 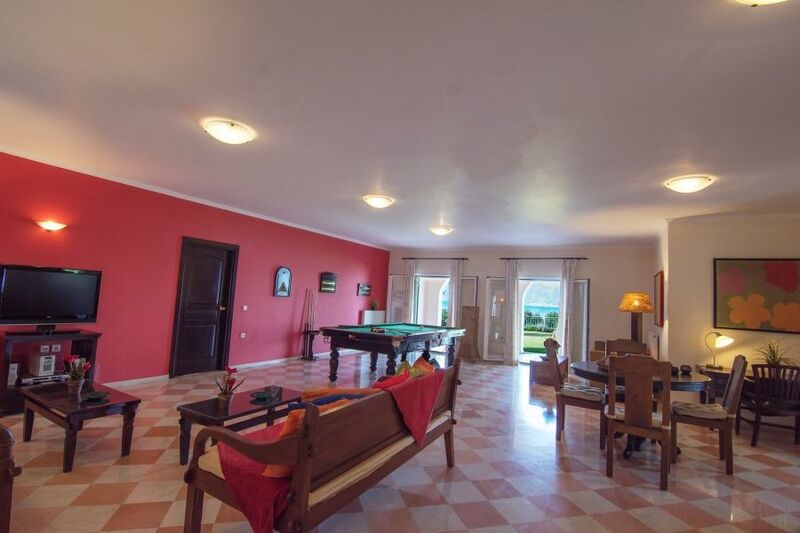 Villa is a three-level house and consists of the ground floor, the first and the second floor. 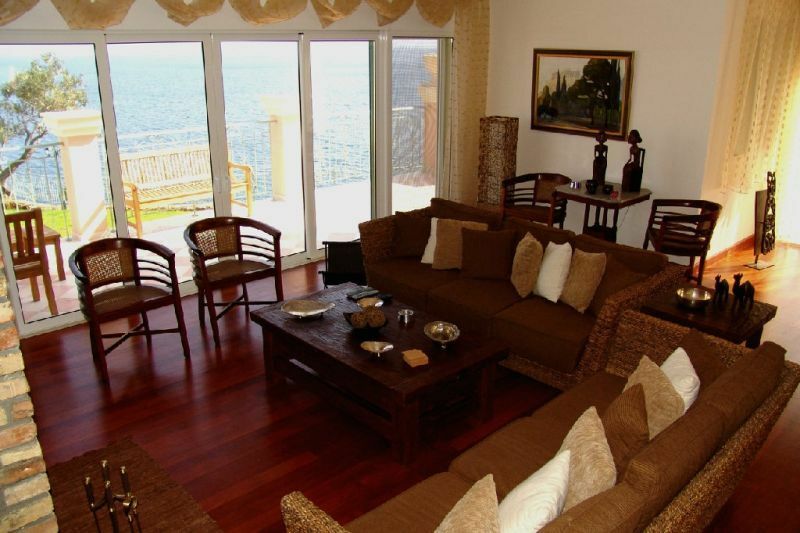 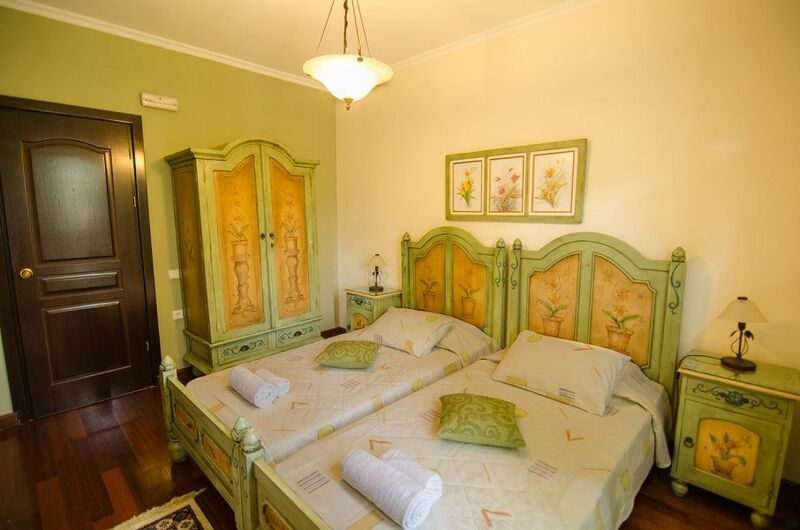 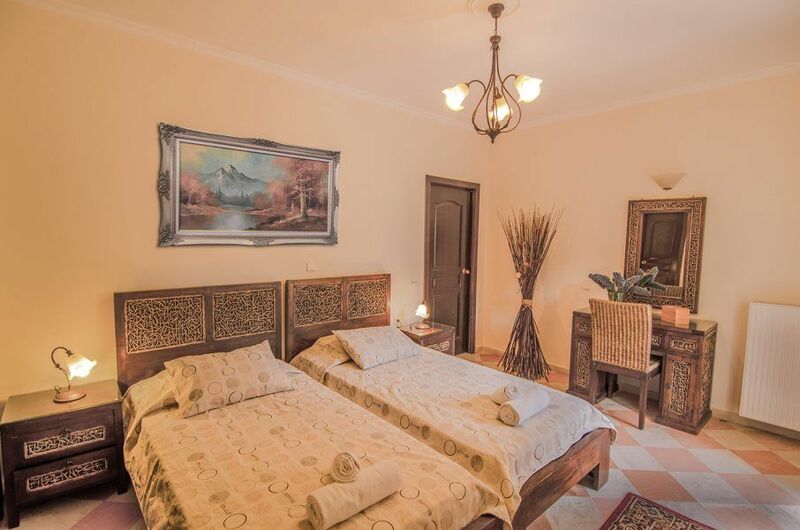 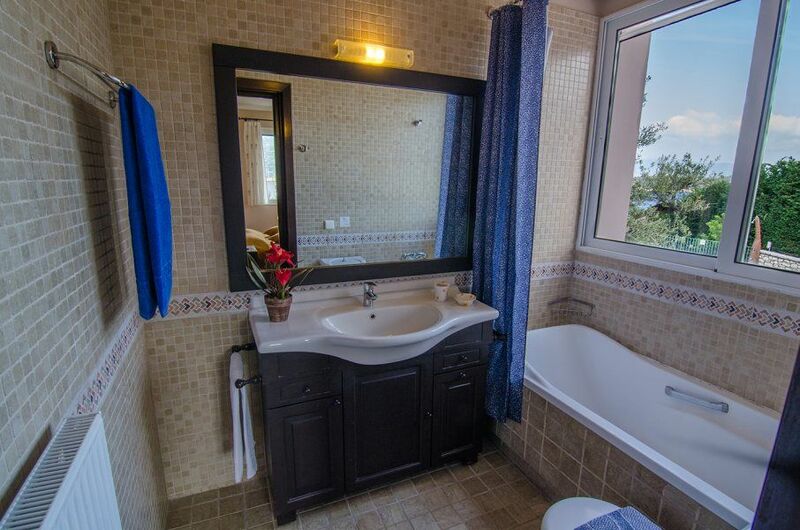 It has 2 double bedrooms and 4 twin bedrooms and can accommodate up to 12 persons. 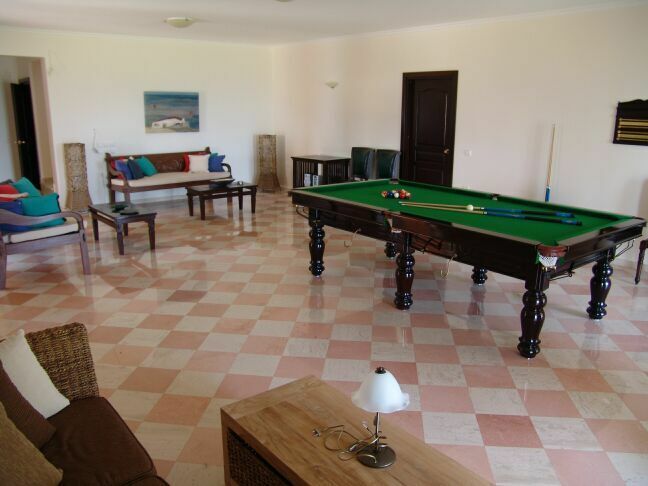 The ground floor has a play room with pool table, a table for cards, TV and a desk. 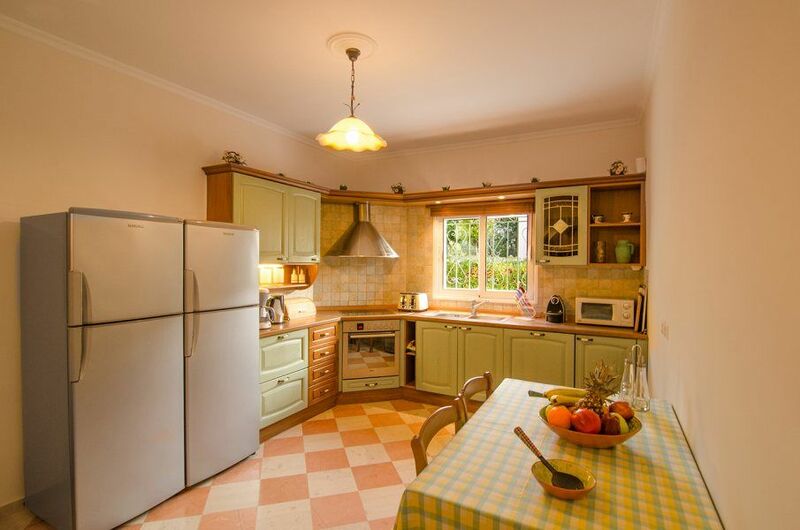 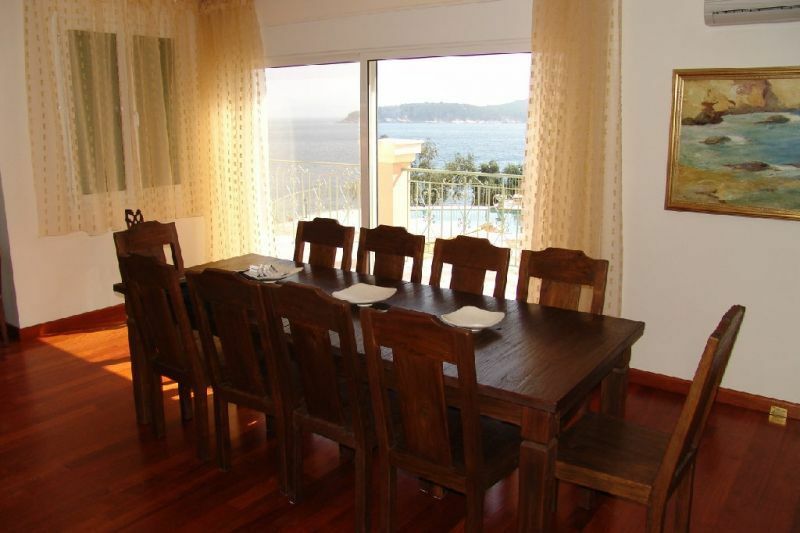 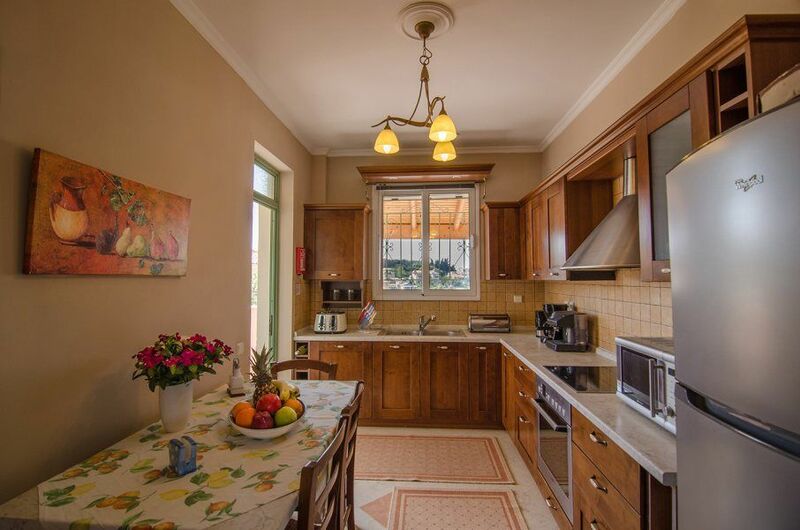 There is also a fully equipped kitchen and w/c. 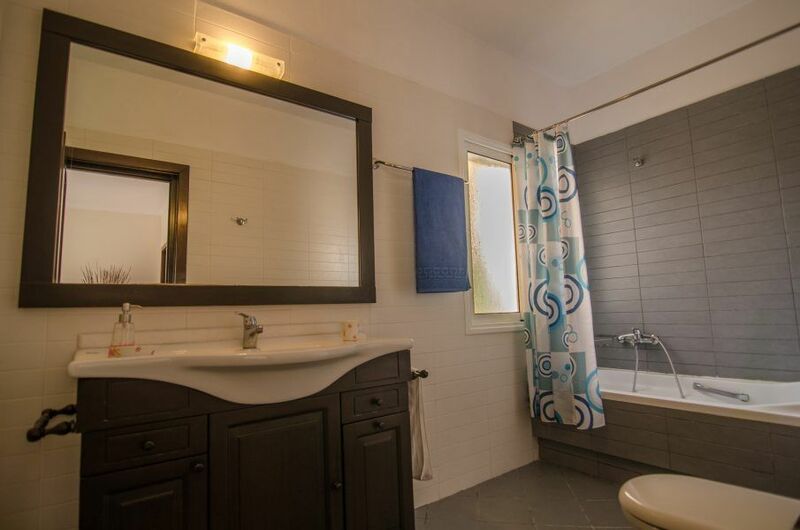 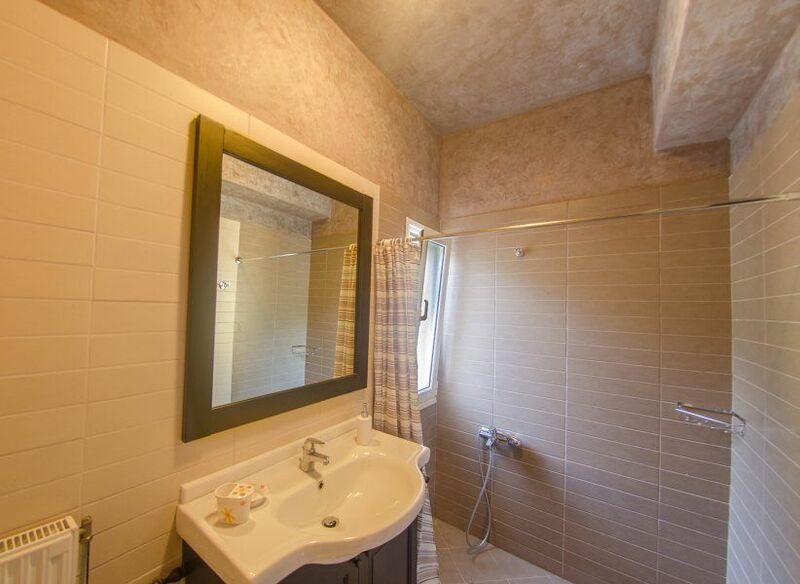 Two bedrooms have independent bathrooms and dressing room. 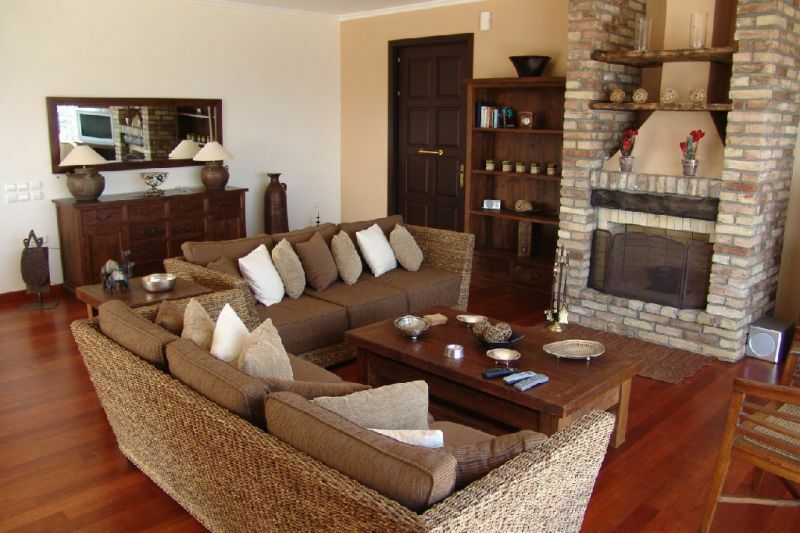 The first floor has the main living room with fireplace, a WC and the second fully equipped kitchen. 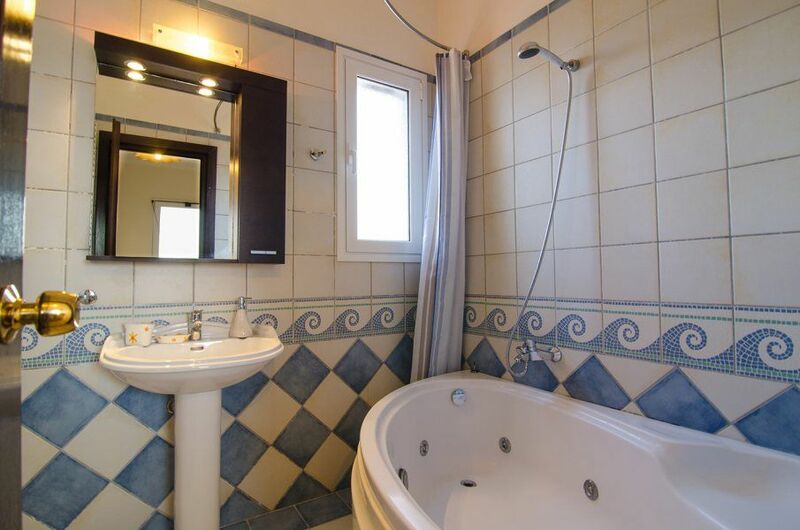 All three bedrooms of this floor have independent bathrooms and balconies. 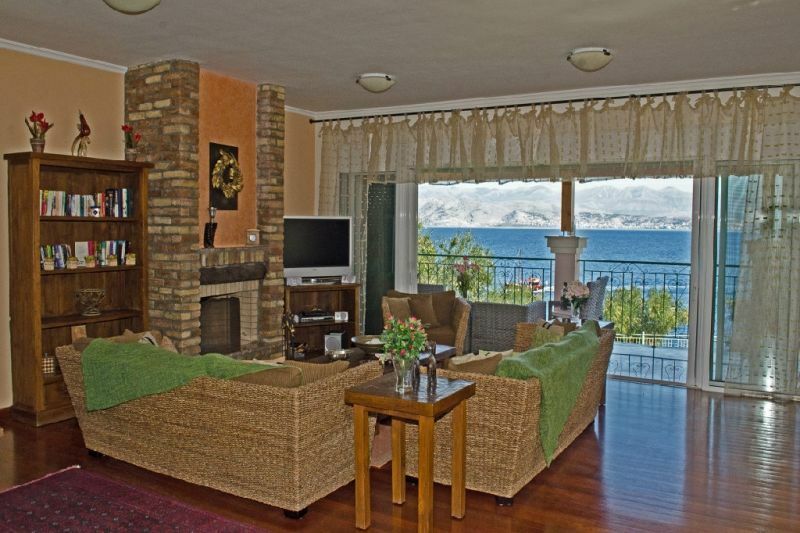 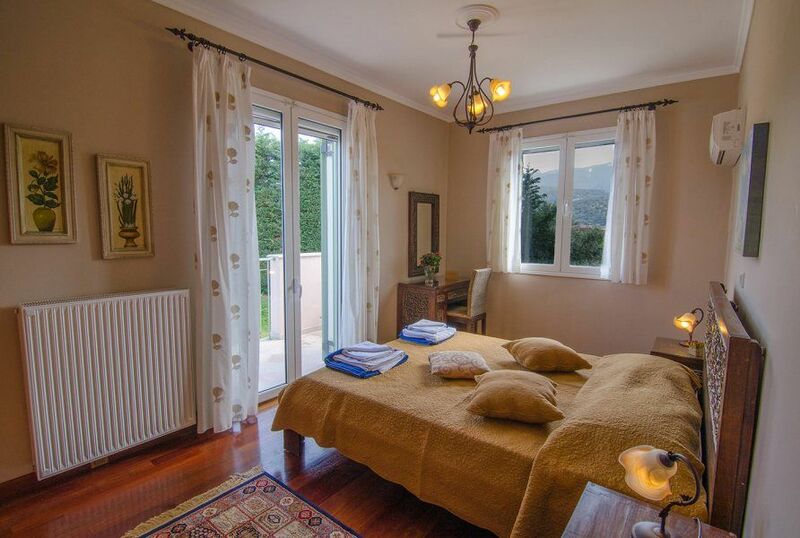 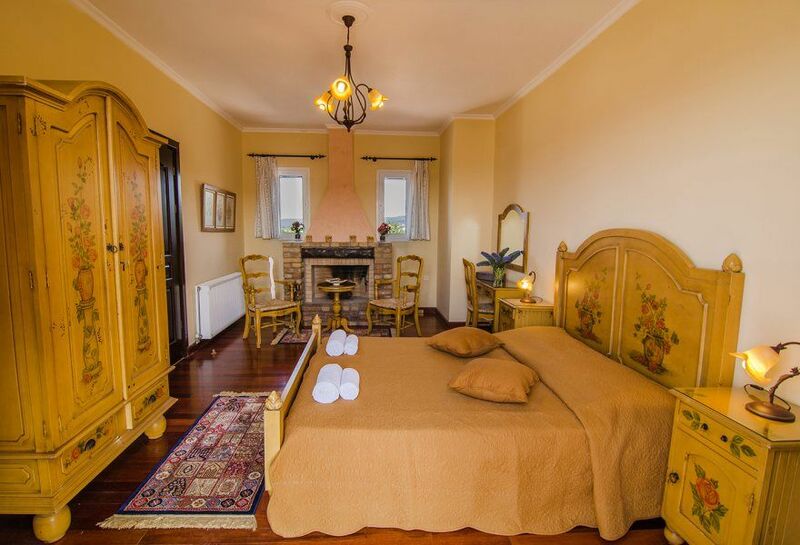 The second floor has a large bedroom with fireplace, independent bathroom with Jacuzzi and balcony with panoramic sea view. 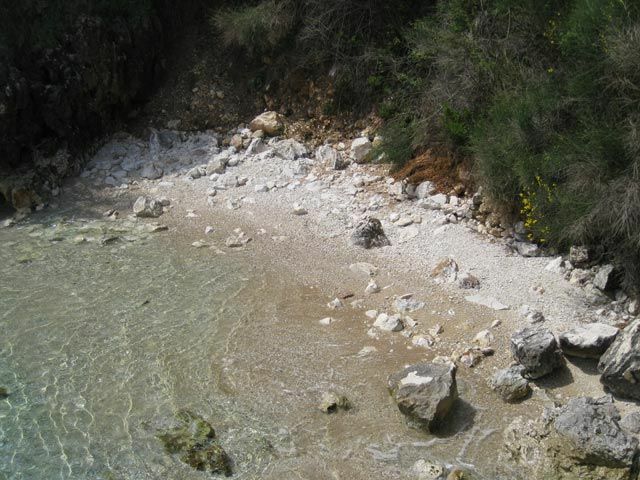 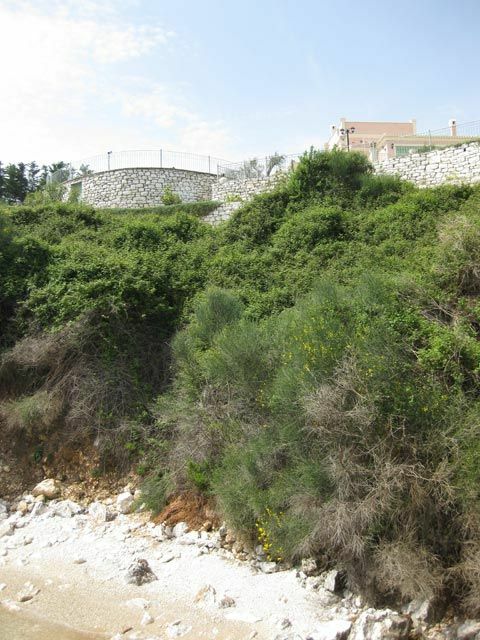 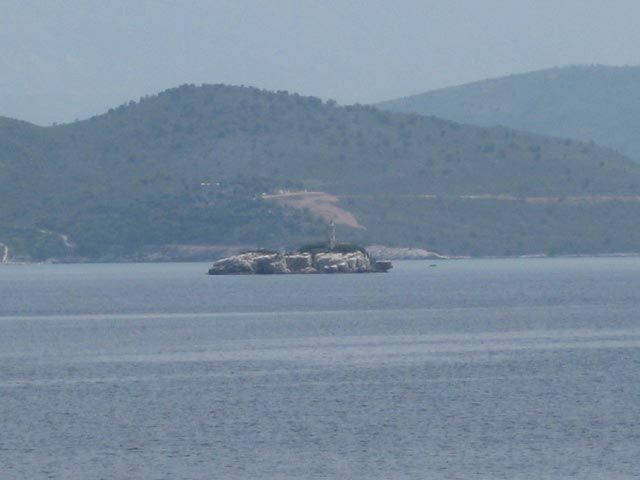 There is a small beach in front of the villa and some beautiful beaches a few hundred meters left and right. 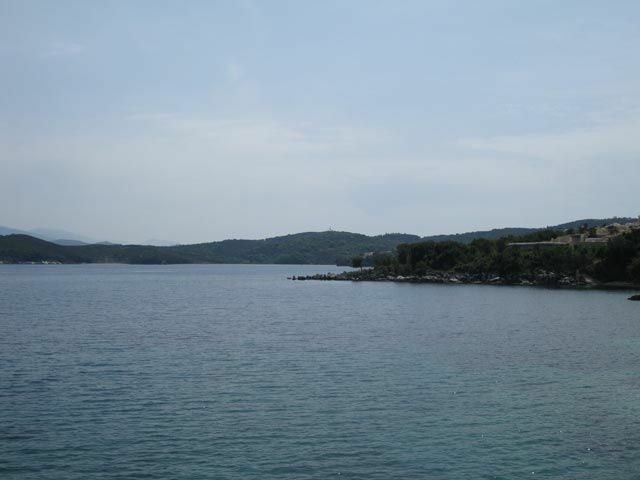 A lot of sightseeings you can find at 15-30 min drive. 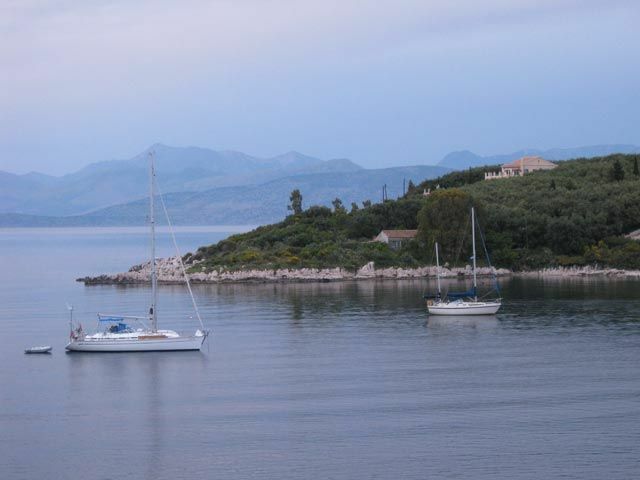 If you came with yacht you can leave it in the small port nearby.